The Geiger counter isn´t everything – argues Dariusz Aksamit, ADAMED SmartUP lecturer, in our latest popular-science video, presenting various ways of measuring radiation, going beyond what is commonly known from the Chernobyl accident and pop-culture. Once again we managed to present difficult scientific terms and complex phenomena in an interesting and understandable way. Geiger counters are indeed commonly used because they are cheap and very sensitive. Unfortunately these devices are not suitable for measuring very intense radiation, for example radiation used by medical physicists in radiotherapy – explains ADAMED SmartUP lecturer Dariusz Aksamit. In this video Dariusz Aksamit introduces viewers to the fascinating world of radiation measurement. You can learn, for example, about the operation principle of ionisation chambers, electrometers and spectrometers, which measure not only the intensity of radition but also its source. The video’s author explains the use of the mysterious things clipped on the lab coats of physicians, radiology technicians, radiobiologists and or medical physicists. These are so-called passive detectors, which can accurately measure, for example, the annual radiation dose of a given person. Interestingly, they are produced in Poland and exported to all of Europe. 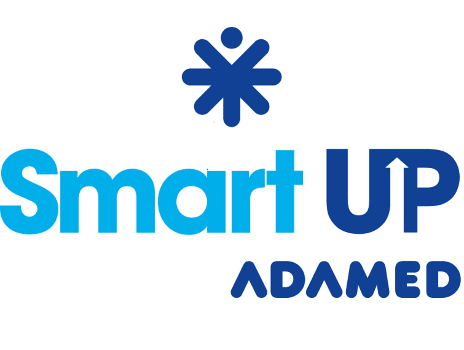 This video, along with other popular-science materials, is available at the ADAMED SmartUP programme website www.adamedsmartup.pl/akademia.